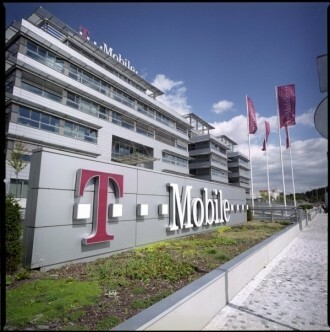 T-Mobile USA has entered into a licensing agreement with Austin, Texas-based Crown Castle that will allow them to use 7,200 cell phone towers. The $2.4 billion deal gives Crown Castle access to the towers for the next 28 years at which time they will have the option to acquire them for another $2.4 billion should they choose to do so. The company has reportedly been shopping the towers around for many years in an effort to bring in some much needed cash. T-Mobile will likely use some or all of the money to help fund the build out of their 4G LTE network over the next three years. The fourth largest provider in the US has already committed to spend $4 billion on the project following a failed merger with AT&T earlier this year. CNET points out that Crown Castle already operates and maintains roughly 30,000 cell towers across the country. The operator says each newly acquired tower will have enough room to accommodate at least one extra service provider which equates to more revenue from other carriers that choose to lease space. T-Mobile will maintain facilities on the towers for at least another 10 years as per the agreement. Analysts generally believe it was a good move for T-Mobile but at least one person thinks Crown Castle paid too much for the towers. Jonathan Schildkraut from Evercore Partners said they shelled out about $400 million more than he would have been comfortable spending. "As people start to pull apart the numbers, it doesn't look that great," Schildkraut said, but he also points out that Crown Castle "needed to do it for growth." The deal is expected to close sometime in the fourth quarter.